In Beaverton, Oregon, Optimist Club president Bruce Buffington is an avid cyclist. Many of the club members have taken an interest bicycling themselves and participate in rides and activities. Their involvement has made their bicycle safety activities that much more interactive, fun and major community events. One of those events held earlier this month was Bike Beaverton. I received the following photos from club member Alan Zehntbauer. Enjoy! For 61 years, the Boise Noon Optimist Club has brought youth football to the community. They also built and manage a multi-million dollar youth sports complex. It is the largest football and cheer program coordinated entirely by volunteers - over 300 of them. Coaches work weekly, sometimes daily with the children. When they sign on, they accept a four-year commitment to work with the team. Optimist Club members work non-stop as well from fundraising to concession stands, site maintenance and coaching themselves. It is a remarkable program. Something that happens every week that looks like a lot of fun is line painting. Enjoy the pictures of the line painters who get together every week to ready the fields for play. Thanks to Walt Callahan, Boise Noon Optimist Club Bulletin Editor for the pictures. Find out more about the Boise Noon Football program here. Get involved with the Boise Noon Optimist Club by clicking here. Every October, Optimist International and Optimist Clubs change administrations. For the most part it is a smooth process that goes undetected by the outside community; but for those who are being replaced, I can't help but wonder if they don't feel like the Project Runway slogan, "One day you're in and the next day you're out." What keeps every leader going through the changing of the guard is knowing that they have made a difference. One small improvement, one positive experience, one successful event can add up to a lifetime of memories and a myriad of potential. As the new year approaches, we can also take pride and find contentment in knowing that the great work that we do through our Optimist Clubs will continue with enthusiastic leaders and new people who have decided to make Optimism a part of their life. New clubs spring up in the last 45 days, a culmination of months of work. A new Optimist Club in River Falls, Wisconsin started with 32 members last week and I've heard through the grapevine that there are also new clubs with over thirty members in Arkansas and Missouri, and one close to being chartered in Idaho. Our affiliations should make us strong, better, caring people. Sharing the responsibility for community development and leadership is what makes an Optimist Club strong. If you are a current leader, thank you for your service. If you are a future leader, thank you for taking that step. If you are a potential leader or potential member, thank you for your consideration. Our communities need Optimist Clubs. Please become a part of one today. Click here to find a club near you or send me a message if you want to start an Optimist Club in your community. We don't join an Optimist Club to make sales. We really don't. However, if your business improves because you've associated with the most positive people in your community, then kudos to you. While I think this post is a little blatant, I still congratulate Jacob Baldwin and Wes Wyatt for joining an Optimist Club and wish them luck in their business. I hope they discover, as most people do, that being a part of an Optimist Club is good for their heart. Here's a nostalgic picture of the Optimist Club of Monticello, Arkansas. 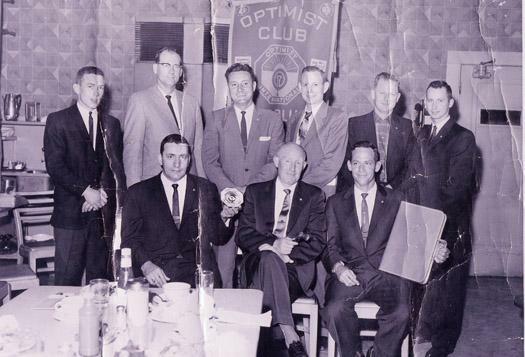 The picture resides in the community's historical museum marking the original charter of the Optimist Club on March 10, 1961. The author of the Monticello Times writes wouldn't it be great if we could resurrect an Optimist Club in these pessimistic times? Yes, I will be sending an inquiry her way. How about a tractor pull? 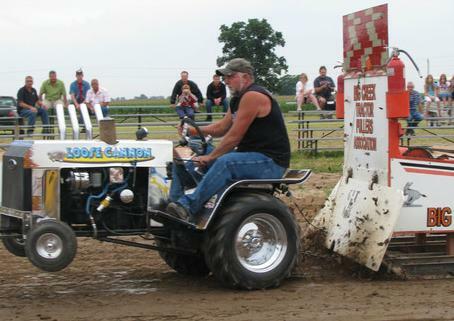 Here is an example of another fundraiser conducted by an Optimist Club: A Tractor Pull. The Norwich Optimist Club in Southwestern Ontario, Canada, puts on this event every year. According to club president Laura Barker it's an event for the community, by the community. Local support is what makes this two-day fundraising event fun and successful. With more than 1,000 spectators and participants in 20 classes, it really is a friendly activity for the family. Some tractors come straight out of the field to participate. Others prepare for the competition for months in advance. All help raise money to support the youth-oriented projects in the community. Activities like this unite the community in fun and service. In addition to the Tractor Pull, Norwich Optimist Club is well-known for their bicycle safety program, Easter and Christmas events, and donations to parks and playgrounds. Thanks to the Norwich Optimist Club for the story. Perhaps diversity means having a few bikers in your Optimist Club. If so, you have probably considered holding Poker Run to raise funds for your next event. A poker run is an organized activity usually involving motorcycles, bicycles, boats or cars. Participants visit five to seven prearranged stops and collect a playing card from each and the objective is to collect the best poker hand. Prizes might be awarded at the end, bragging rights are certainly in order, and everyone comes back together just to have a good time. The Jacksonville Optimist Club, Timonium Optimist Club, Cockeyesville Optimist Club and Hereford Optimist Club in Baltimore County, Maryland are combining efforts for the annual Shop with a Cop Poker Run this Saturday, August 28, 10:00 a.m., beginning at the Maryland Line Inn. Cost to participate is $20 for the driver and $5 per passenger with all money raised going to buy gifts for underprivileged children through the Optimist Club Shop with a Cop program at Christmas. Does your Optimist Club embrace diversity? Most service organizations will tell you that they are always looking for younger members to join their clubs. Of course younger members are needed, but so are members of any age, gender, nationality or ability. What we really need is diversity. A diverse membership will allow us to develop programs that we might not otherwise provide. Consider the parent of an autistic child. They might suggest that the service club consider a project to make weighted blankets, buy special toys or offer quiet programs like an art class where the autistic child can participate without being overstimulated by outside noise and crowds. Consider the aunt whose nephew is in a wheelchair. She might recommend ways that programs your club performs every day can be more universally accessible. For instance, how do children confined to a wheelchair pick up eggs during an Easter Egg hunt? What about a child who has difficulty seeing or hearing or who is possibly is overcoming a developmental delay? Do your programs allow them to play on an even playing field with other children? 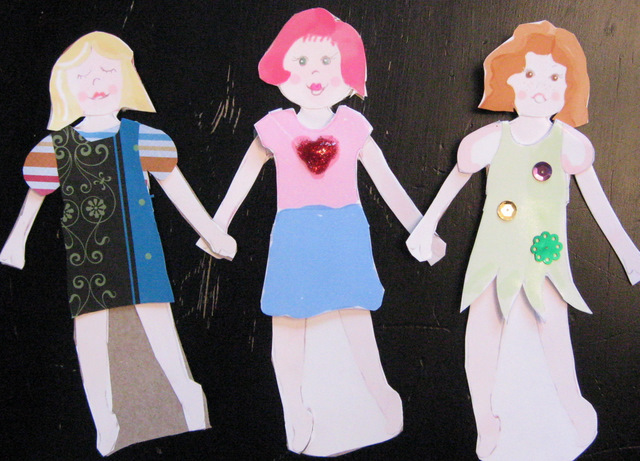 Are girls and boys empowered equally to achieve? Are children from all around your community able to participate no matter where they live? Sensitivity to individuals of all abilities will help us grow in service and in our hearts. Have the conversation with your fellow Optimist Club members at your next gathering and then plan your projects to be inclusive. Work hard to make your membership inclusive as well. Chili seems like more of a fall or winter dish to me, but real chili lovers look for the good stuff all year-round. That's why the Optimist Club of Bellevue East-Town, Wisconsin has planned a Chili Cook Off for this weekend. The annual event is both a community picnic and a fundraiser for the club's many youth-serving projects. It will take place at Josten Park, Sunday, August 29, 11:00 a.m. to 5:00 p.m. The Optimist Club has been serving up the area's best chili, music, children's games and fun at the community picnic and chili cook off for 27 years. Find out more at the Village of Bellevue, Wisconsin website. Thanks to the Optimist Club of West Fort Bend, Indiana for turning me on to another new fundraising idea. 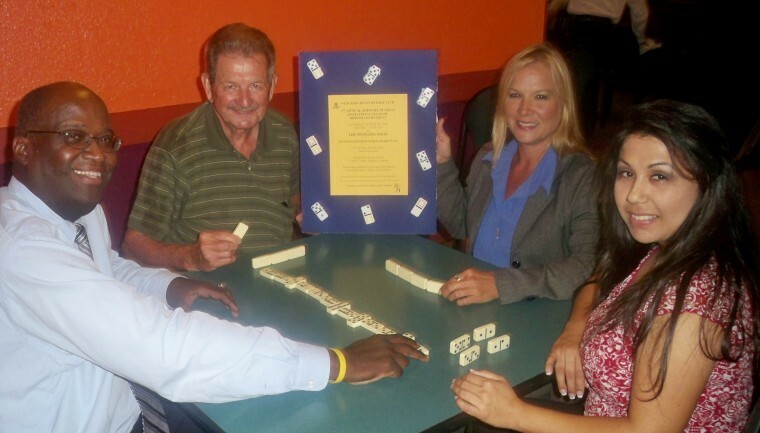 Giving a nod to a local citizen and former politician with championship play in his history, the Optimist Club will hold the inaugural Johnnie Pustka Invitational Straight Domino Tournament. Tournament organizer Harold Kennedy said, "We really wanted to do something different than your typical golf or softball tournament. I think people will have a great time. We've got great sponsorships and we want to make this an annual event." The tournament will begin at 11:00 a.m., Saturday, August 28 at the Swinging Door, 3818 FM 359, Richmond, Indiana. Teams are welcome. The entry fee is only $12.50 per person with all proceeds to go to the Optimist Scholarship Fund. Find out more about the Domino Tourney here. Photo by Juan Carlos Reyes courtesy of the Optimist Club of West Fort Bend, Indiana. A new project! I read about so many projects, programs and fundraising ideas that it is always refreshing when I stumble upon a new idea being put forth by an Optimist Club. The latest isn't really a new idea, but it might be the first time I have seen it conducted by Optimist Club members. What is it? A fashion show. With such popular television shows as Project Runway and America's Top Model, one might think that a fashion show would be more popular. Perhaps it is in different circles, and evidently it has a following in this community for the fashion show in question is the 4th Annual Fashion Extravaganza for the Wakulla Coastal Optimist Club of Panacea, Florida. The Fashion Extravaganza will be held on Thursday, October 7 at the Wakulla County Senior Center. All proceeds help continue two endowed educational scholarship programs through the Wakulla County Education Boosters. Click here to read more about it. Serving the furniture industry for 140 years, Furniture World Online is used to giving tips to retailers and distributors about how to increase their business. A recommendation given this week was to speak to your local Optimist Club. Why would an Optimist Club want to hear from a retailer? A number of reasons come to mind, the best being that an inside look at any local business helps attendees understand the business climate or economy of their community. The business owner might also offer inside tips about purchasing their product or a story about how they got into business. Color commentary and local stories and insights are what makes the community more cohesive and a friendlier place to live. 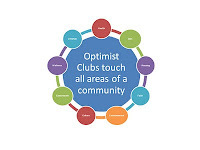 Another value to the Optimist Club is that they have the opportunity to let a business owner know more about the club at the same time; not in the form of a sales pitch, but rather just in good, quality reports about the club's activities. Consider inviting a local business owner to speak to your Optimist Club. It can be a win-win proposition for everyone involved. Chances are that you have seen The Dash movie. Even if you have, please take three minutes right now to review the message. We took a few extra minutes today at my Optimist Club meeting to remember a member who passed away earlier this year. A friend presented a eulogy recounting the many things this man had done in his life. His education, jobs, career, family and passions. We looked at each other and said, I didn't know that. And then we took a few minutes to talk to the member sitting closest to us and share something about ourselves that perhaps our neighbor didn't know. We took time to purposefully learn something new about someone we see every week. That's what being part of an Optimist Club is all about: creating relationships that will last a lifetime. Find out about someone close to you today. The extra time, the words of understanding and the act of listening is rewarding. Engage. It's hard to believe that for some students, the school year has already begun, but I know that it has because I am hearing starting to hear stories from Optimist Clubs who are helping children get a great start. In Middleton, Idaho a brand new club has plans in the works for a Back-to-School party in the first week of September. In Deerfield, Illinois the Optimist Club is hosting a Mudfest where high school students kick-off the year with an annual volleyball and tug-of-war in the mud. 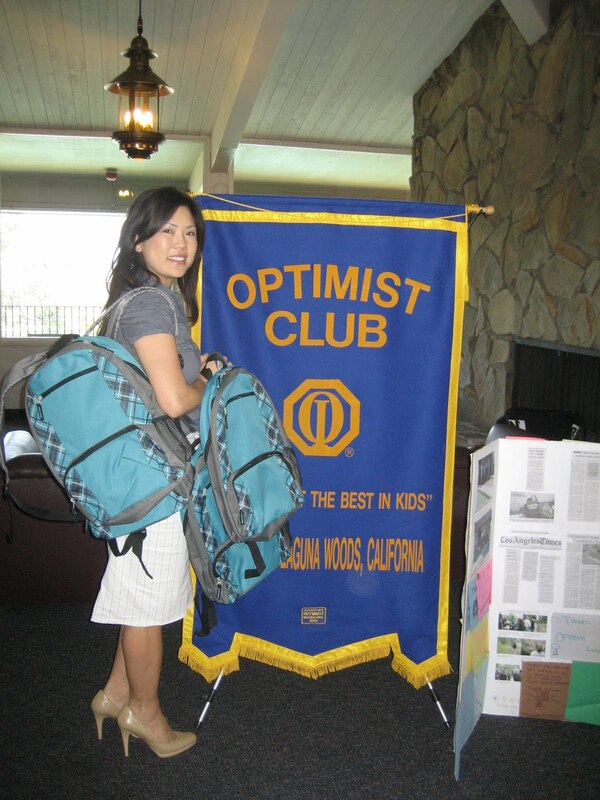 Many clubs are providing backpacks for students like the Saddleback Optimist Club of Laguna Woods, CA. Shown in the picture is Teresa Dinh, Program Director for Boys Town, who stopped by the Optimist Club to pick up over 100 backpacks donated by the Optimist Club with donations from Costco, club and community members. Is your Optimist Club hosting a back-to-school activity? Please tell us about it or send a picture. We'd love to highlight your story right here. Thanks. Picture provided by the Saddleback Optimist Club. One of the benefits of social networking is that our friends, acquaintances, and people that we may never meet but follow on Twitter anyway, post links to articles and information that they find helpful, interesting, thought provoking or amusing. Sometimes we want to share that information with others. I decided to do that today with this presentation that came to me via my friend Don Crall on Facebook. Please take a look at eight simple words that add up to success from Richard St. John on Ted.com. Something that we all wish we had was a little more happiness in our lives. Optimist Clubs feel the same way, but they often go a little further to identify why they aren't happy. They might say, we need more members and money so we can do the projects that we want to do. So if the goal is happiness, how do we get there? Take a look at this simple process of generating happiness and adding members at the same time. Enjoy! View more presentations from Linda Jackson. Each week the Idaho Statesman runs a column written by Said Ahmed-Zaid. Mr. Ahmed-Zaid is a Boise State University engineering professor and the 2004 recipient of the annual Hewlett Packard Award for Distinguished Leadership in Human Rights. The column is about diversity, awareness, tolerance and kindness and I thought that this week's message fit well with what we try to achieve as Optimist Clubs. Please allow me to share some of the bullet points from the column: Good neighbors are blessings: let's each be one with you. In today's mobile society, we sometimes fail to make the connections to our neighbors like our parents or grandparents made. Consider the new neighborhood, one that includes co-workers, persons we meet every day on a bus or at a store, persons we see only in passing and those we see more often because we make a conscious decision to join a group, a club, or even an online community. It takes a little extra effort to extend what were once commonplace courtesies because so often we are rushed to make it to our next appointment or so engrossed in our lives that we fail to notice those around us. However, being civil, decent, respectful human beings has not gone out of style. I challenge you to open your eyes and smile as you go through each day and work at being a good neighbor. Slow down, take in your surroundings and be courteous to everyone you meet. Step outside of the routine and extend your help and kindness to others. Praise others for their accomplishments and be humble in your own. Live in the faith that the world is on your side as long as you are true to the best that is in you. Share kindness and you will be rewarded with the same. The world needs good neighbors. You probably know someone like Jim Jensen, someone who participates in many activities including the Optimist Club. Isn't it wonderful when they are recognized for their service? You should respect their acknowledgement as a point of pride for your club and give them praise. About one year ago I promised myself that I would post something new every day to this blog about how Optimist Clubs make a difference around the world. I discovered that when you post as frequently as I do about the same subject, you find lot of similar activities being conducted by different Optimist Clubs, many at the same time. I get excited when see a project that I wrote about last year return again this year even stronger and better. The Lebanon Blues Festival, sponsored by the Optimist Club of Lebanon, Ohio - not only did they return, they added more bands, sponsors, a 5k, 15k and fun run, a car show, and a brand new website. Start making your plans for next year. If you are into blues, I think you should add this to your to-do list. The Black Patch Festival, sponsored by the Optimist Club of Princeton, Kentucky - with a nod to other service organizations, they reached out to make sure all were included and that no projects usurped another so that everyone had an equal opportunity to be recognized, raise awareness and support. It's so important when you carry out activities year after year to include others in your planning and production cycle. New members are important to any Optimist Club, but even more vital when your whole community is truly depending on you to represent the community as a whole. Major projects such as these will attract new members, new people who want to be involved. Your responsibility is to engage those new volunteers in meaningful, purposeful ways. Help the new Optimist Club volunteer connect with others so that they feel a part of the team. When you reach out to new volunteers, you build leaders for the future of your club and the continuity of your project. Make it possible and fun for everyone to be a part of the action. Finally she lands on what really makes me smile: volunteering. And guess who she recommends to volunteer with? That's right - an Optimist Club. Since she's in Minnesota, she directed her readers to a few local clubs, but here is a link to an Optimist International Club directory so that you can find a club near you. 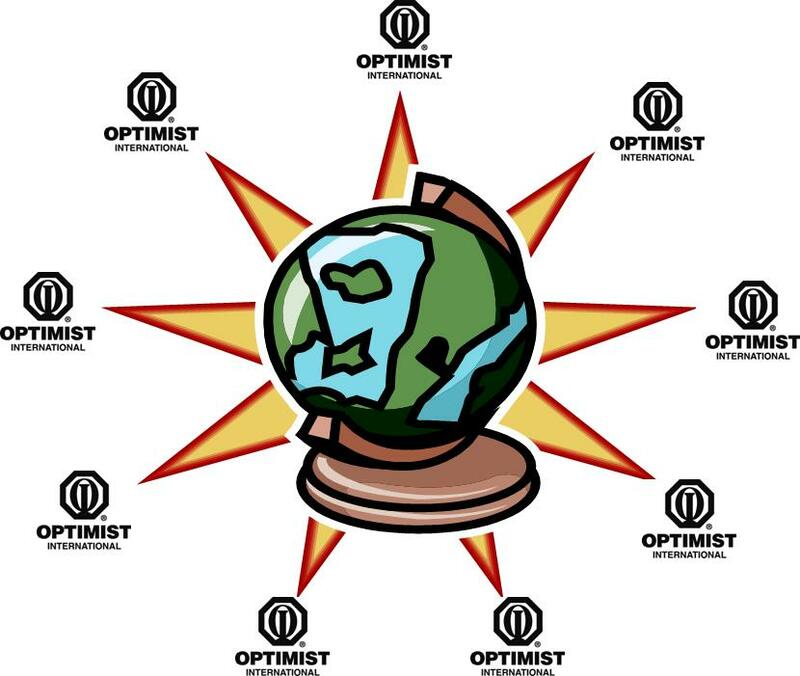 Why don't you become an optimist today by joining an Optimist Club. Sometimes I wonder how many of my posts are being read by Optimist Club members or others. I wonder if I am building an online community that treasures their involvement in an Optimist Club as much as I do. Of course, I also wonder if anyone outside of an Optimist Club cares. It is a strange and cathartic rhythm that I have created on this blog. I get to chronicle good news every day. Writing such stories allows me the opportunity to identify projects and programs, large and small, that make a difference in local, physical communities around the world - you know those communities that we also call neighborhoods and cities. I feel good every time a read and write about what an Optimist Club has done to serve their community and because I belong to an Optimist Club I intrinsically feel that I am a part of every project that is conducted under the Optimist International umbrella. What a feeling! Such empowerment; such connectivity. 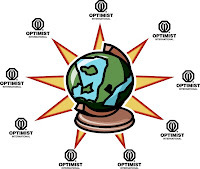 It seems that I have accidentally on purpose become a conduit for connecting the online world to the physical world at least for Optimist Clubs. I hope that others appreciate the effort. Thanks for reading and for helping me pass our good news forward. Looking for new Optimist Club members? Just ask! How do you go about asking people to join your Optimist Club? I believe that word-of-mouth marketing and personal invitations are the best way to go about it. However, no one likes to make a cold call or approach someone with an invitation to something they may not know anything about. The Breakfast Optimist Club of Dundalk, an affiliate of Optimist International, is seeking new members to take part in the group’s community service activities. Among the group’s projects are annual youth oratorical and essay contests, the Junior Optimist Club at Dundalk Middle School and the Optimist Childhood Cancer Campaign. The group meets at the Sparrows Point Inn, 4414 North Point Blvd., at 8 a.m. on the second and fourth Saturdays of each month except during December, July and August. For more information, call the organization’s president, Charlotte Hayes, at 410-282-6058. 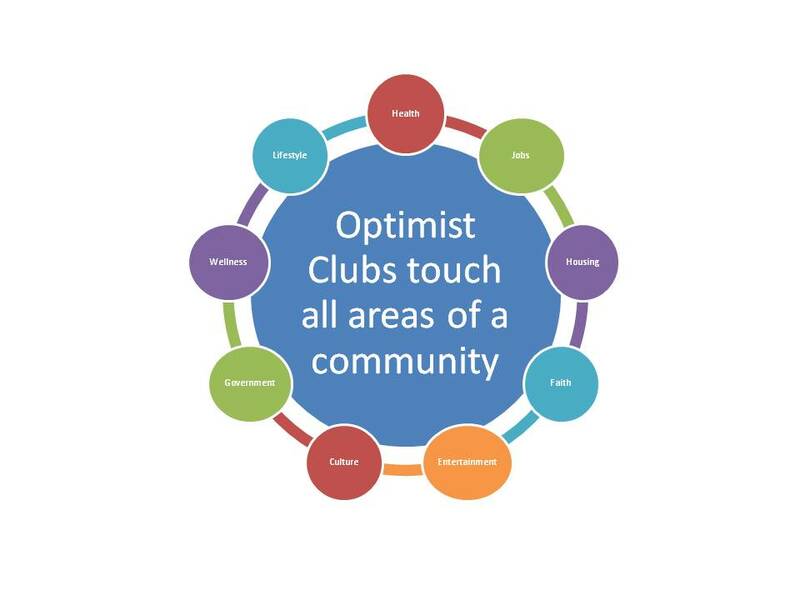 With this brief introduction, potential members know what the Optimist Club is, where and when members meet, what they do and how to find out more. Why not run a similar article in your local newspaper? Just do it - ask someone to join your Optimist Club today. 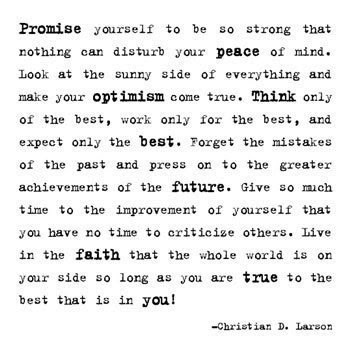 The Optimist Creed offers powerful words to inspire us to live every day to our full potential. Partnering with a happy song makes it even more fun. Enjoy! Another Saturday, another car show and this one looks big and profitable! This weekend the Optimist Club of Bothwell and District, Ontario, Canada are the hosts to the 19th annual Old Autos Car Show. More than 10,000 people are expected along with as many as 1,600 cars. According to Optimist spokesperson Larry Wolf many of the cars are for sale. Along with the car show there is a old car parts swap meet with 370 vendors and the Bothwell Optifest that includes family fun activities like the annual bed race in Victoria Park. The Bothwell Volunteer Firefighters' Association also benefits from this community event. They sell 50-50 raffle tickets and split the prize with a lucky winner. In past years, that has been as much as $16,000. 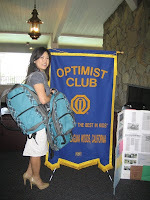 As my readers know and as it is pretty easy to observe, I write about Optimist Clubs. Optimist Clubs have been around for almost 100 years providing services that communities need on a local level from building swimming pools to offering after school activities for latchkey children and more. Optimist Clubs are successful when they unite individuals in local causes that make their communities a better place to live. According to best-selling author and urban studies theorist Richard Florida, choosing the community that you live in is really about choosing the quality of life that you want for yourself and your family. When considered in that light, Optimist Clubs are part of the economic development infrastructure of any community. Unfortunately, many Optimist Clubs consider themselves to be charities. What's the difference between being part of the economic development infrastructure and being a charity? Simple - charities give their money away while organizations involved in economic development invest their time, talent and treasure in projects that will see a return on investment. At the end of the day, an Optimist Club should be able to assess its impact with a financial measure in a way that contributes to the wealth not of individual populations, but rather to the community as a whole. Please notice that I did not say that Optimist Clubs are businesses. They are not. While every club or organization should operate in a business-like manner, the point of the Optimist Club should not be about creating wealth for its members. Again, the financial measure is in creating wealth for the community as a whole. Does that thought seem rather overwhelming? It felt overwhelming as I wrote it. Twice. Creating wealth is not an easy measurement because people don't always measure their wealth in dollars. They add in health and other quality of life factors such as job satisfaction, social interactions, entertainment opportunities, mental health and well-being, and friends and family into their personal measurement. I have even heard it said, "I measure it [wealth] by how happy I can be without money." So if personal wealth might be achieved with or without money, how do we define community wealth? For economic development purposes, I choose to consider a community that has a balanced tax structure and fair and equal access to jobs, education, healthcare, housing, cultural, entertainment, faith and lifestyle choices as being wealthy. Any time that an Optimist Club can perform a project, carry out a task, or provide inspiration that allows others to realize their wealth in those terms, then I believe they are achieving their mission. Any time that an Optimist Club can create a movement or collaborate with others to allow innovation and entrepreneurship, then I believe they are achieving their mission. Any time that an Optimist Club recognizes and promotes the potential of young people, or people of any age, then I believe they are achieving their mission. Being part of an Optimist Club is about sharing a positive attitude and positive ideas to move yourself and your community forward. If your Optimist Club finds itself more caught up in fundraising efforts than in serving a greater community good, then it might be time to reconsider your club's impact in economic development terms. Where would your community be without the good deeds of an Optimist Club? Be honest and ask yourself some tough questions. Be scared of the answers. Be ready to make adjustments. Then and only then will your Optimist Club engage others in your cause and soar into the future. Free haircuts, clothes and school supplies will help the children in Elk Grove, California go back-to-school in style. About 100 students in the Elk Grove School District participated in 'Childspree' provided by the Optimist Club, Kohl's, the Elk Grove Unified School District and Soroptimist International. They also received dental supplies and were treated to a pancake breakfast from the Lions Club. According to Sandy Waite, a Healthy Start Coordinator in the Elk Grove School District, Childspree is an annual event in Elk Grove. The activity allows individuals and organizations to contribute to the success of local students and help get them started on the right foot each year. According to national data from the US Department of Agriculture, the average, middle-income family will spend as much as $760 per year to send their child to school. It is important that the community is able to assist especially in tight economic times. Thanks to the Elk Grove Optimist Club for the photo and story. The Optimist Club of Hillsboro, Oregon is teaming up with the Big Brothers and Big Sisters to put on the Hillsboro Amazing Race. Patterned loosely after film of the same title, the Hillsboro Amazing Race will be held this Saturday, August 7. According to the organizers, if you know a lot about Hillsboro history, you'll be fast on your way to winning this activity that tests your memory and gives you clues and puzzles and other fun challenges along the way. To compete in the Hillsboro Amazing Race, you will need to bring a competitive spirit, a vehicle that you can travel in to get around to four different areas in Hillsboro, a digital camera to photograph your accomplishments, and your team to the starting point, Hillsboro Civic Center, at noon. By the way, your team must consist of at least one adult and one child age 8-16. Doesn't this sound like fun? 1) It is about an Optimist Club meeting. I believe that meetings are important because they allow the attendees the opportunity to learn about relevant activities in their community. 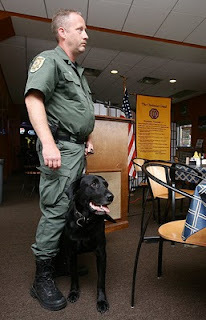 2) It features a working dog and everyone who knows me knows that I am a bit dog-crazy. 3) It was written by Chelsea Latta, a high-school intern. 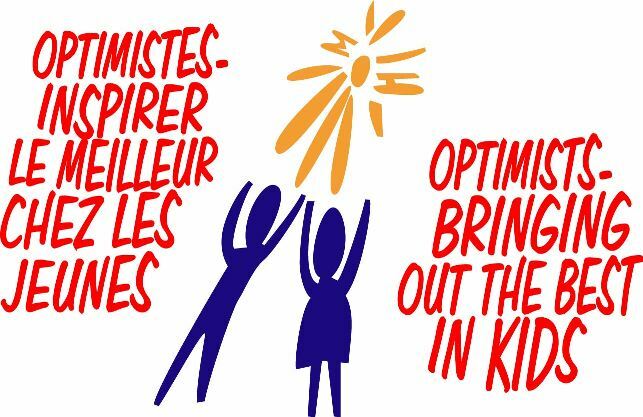 What better way to share the Optimist International mission of bringing out the best in kids? Take a look at the original article here for the full story. Can you say wow? Seventy-two kids turned out for the first ever Optimist Club Youth Golf Classic in Minot, North Dakota to participate in a 4-person scramble. According to Jason Soine with the Optimist Club the tournament was a way to introduce children to golf. With the scramble format, everyone got the opportunity to hit. Since golf is a lifelong sport, one can take years to learn to play. The event was so successful that the Optimist Club of Minot is already planning another tournament next year and hope to expand it to two flights of golfers. Now that deserves a wow, don't you think? Please click on the picture to watch a video from KFYR TV. The 30th Annual US Open Sandcastle Competition is headed to South Bay City, Imperial Beach, California next weekend. Sandy fun takes over the community for three days as adult teams work together to build works of art from sand and compete for more than $20,000 in cash prizes. There will also be music on the beach and a 140-vendor street fair all weekend long. 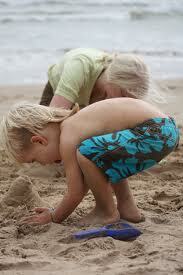 Tucked inside this major community event is a smaller sandcastle activity just for kids. Organized by the Imperial Beach Optimist Club, the Kids-N-Kastles competition is open to children under 12 years of age and will be held on Saturday afternoon. Find out more about this national competition that features both amateur and professional sandcastle builders at the official website: http://usopensandcastle.com/. Click here for the schedule for August 7, 8, 9, 2010 published in the North County Times.